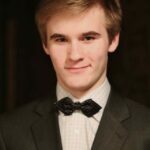 Markus participated for the first time in an Estonian Model European Parliament (MEP) session over 3 years ago (2013). Since then he has been an active member of the Estonian Model European Parliament team. In 2014 Markus participated in the Estonian MEP session and earned a place on the Estonian delegation which was sent to the Baltic Sea Region MEP. For his remarkable performances, Markus was elected to lead his own comission on the Estonian MEP. The most outstanding committee chairmen were elected to lead the general assembly, including Markus. Spring of 2016 was very special for him, because he was elected the president of the Estonian MEP session. Markus is also the founding member of NGO NoorVisioon, which purpose is to increase knowledge in teenagers about politics and current topics in society. In addition he has been an active folk dancer for over 5 and a choir singer for almost 10 years. Markus is also a member of the Estonian Defence League, a voluntary militarily organised national defence organisation.